The word trust means reliance on integrity, strength, ability, surety, etc. of a person. A second definition is the confident expectation of something; hope. Our trust will embrace a genuine confidence in God. When we lean, we place all of our weight on something, resting upon a person or thing. Whenever we have a major decision to make, we might feel unable to lean upon someone. The Lord is my rock and my fortress and my deliverer; My God, my strength, in whom I trust; My shield and the horn of my salvation, my stronghold. Blessed is the man who makes the Lord his trust, and does not respect the proud, nor such as turn aside to lies. Trust almost always involves patience. Have patience and courage to wait for God to act. The Lord God knows what is best for us and will guide, keep and protect us. As we turn our lives over to Him, we realize the necessity of acknowledging God in all of our ways. In the book of Exodus we read of God's care for the infant Moses.
" Take this child away and nurse him for me, and I will give you your wages." So the woman took the child away and nursed him. Moses' mother trusted in the Lord. 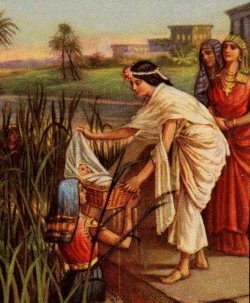 She placed baby Moses in a basket in the river, and Pharaoh's daughter found him and hired Moses' own mother to be his nurse. As she cared for him, she was able to teach him about God. Her trust involved her use of courage. Whenever I am afraid, I will trust in You. In God (I will praise His word). In God I have put my trust; I will not fear. What can flesh do to me? But now the righteousness of God apart from the law is revealed, being witnessed by the Law and the Prophets, even the righteousness of God, through faith in Jesus Christ, to all and on all who believe. For there is no difference; for all have sinned and fall short of the glory of God. Trust includes giving God our future plans. 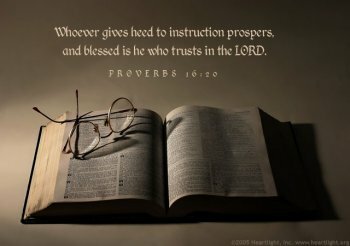 To receive God's guidance, we must acknowledge Him in all our ways. Trust is believing in God's promises without equivocation. God's plan of salvation is available to all mankind. It is available to you no matter how you have conducted your life. Jeremiah 17:7," Blessed is the man who trusts in the Lord, And whose hope is the Lord." Our dogs illustrate trust. 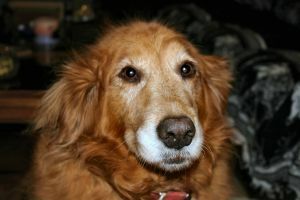 They know they can trust us to provide them daily with food and water. Prayer is the way in which we talk to God, He talks to us in the Bible. We rely on Him for guidance. Our trust should be placed in Him. He has promised to always be with us. We read in Psalm 9:10," And those who know your name put their trust in You; For You, Lord, have not forsaken those who seek you. " Psalm 71:1," In You, O Lord, I put my trust; Let me never be put to shame." God made everything and has blessed us with all that we have. He has told us He will care for us, if we give our lives to Him in His service. Romans 12:1-2," I beseech you therefore, brethren, by the mercies of God, that you present your bodies a living sacrifice, holy, acceptable to God, which is your reasonable service. And do not be conformed to this world, but be transformed by the renewing of your mind, that you may prove what is that good and acceptable and perfect will of God." Jesus spoke of the birds and how God cares for them. 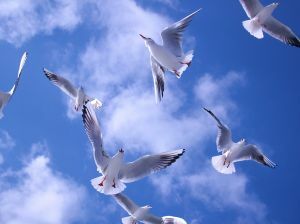 The birds of the air do not worry about the morrow. If God cares for them, how much more will He care for us. Matthew 6:26," Look at the birds of the air, for they neither sow nor reap nor gather into barns; yet your heavenly Father feeds them. Are you not of more value than they?" There are many things that we rely on in this world. When we turn the faucet on, we trust that the water will come out. When we go out to our vehicles, we trust that they will work and get us to our destination. On payday, we trust our employers to provide us with the paychecks we have worked for. Our Lord and Father made all this possible for us, we need to trust Him. I Timothy 4:10," For to this end, we both labor and suffer reproach, because we trust in the living God, who is the Savior of all men, especially of those who believe. " Children rely upon their parents to provide shelter, food, medical, and clothes. How much more should we place our total trust in the Eternal, Loving, Lord and Father. He made mankind and the worlds. We read in Hebrews 11:3," By faith we understand that the worlds were framed by the word of God, so that the things which are seen were not made of things which are visible." (1) In whom should we place our trust ? (2) Why did Moses' mother place him in a river? Click Sample Pages above for an excerpt and free download! What would happen if you trusted God more? Would you worry less? Have more courage? This kind of living is possible. 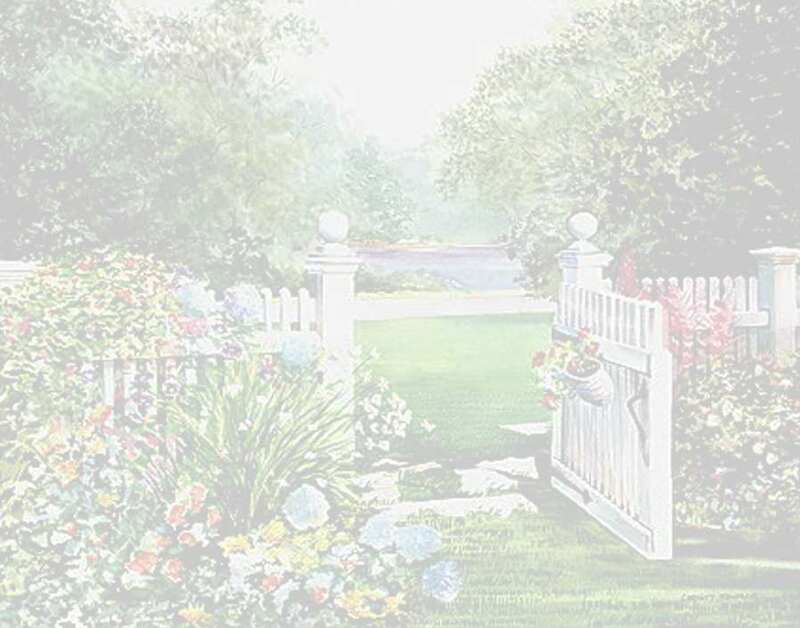 In Beautiful Things Happen When a Woman Trusts God Sheila Walsh shares her own story, and those of several Bible characters to show you how to trust God in the middle of difficult situations. As you learn about Who is holding onto you, you'll be empowered to let go and rest in God's loving care.